At just 3.7 lbs this Carrera is a pure joy to hold. With all of this guitar's stellar attributes, what stands out is the tone. 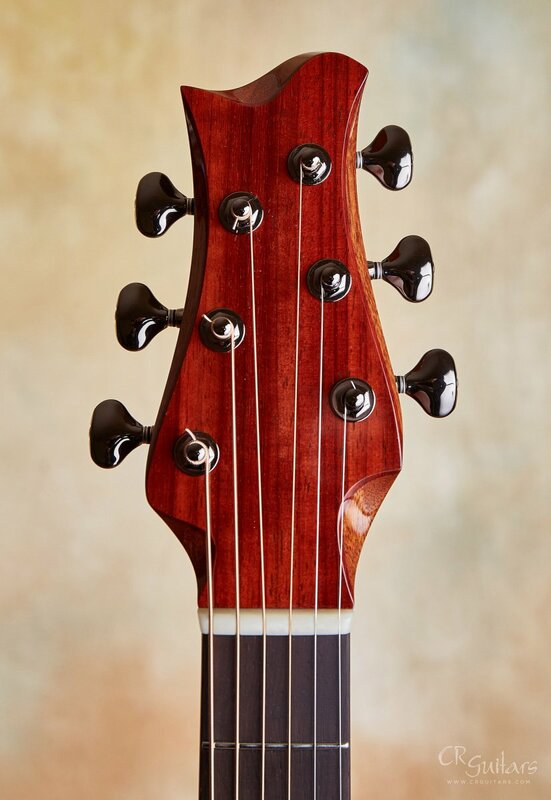 What amazing tone! 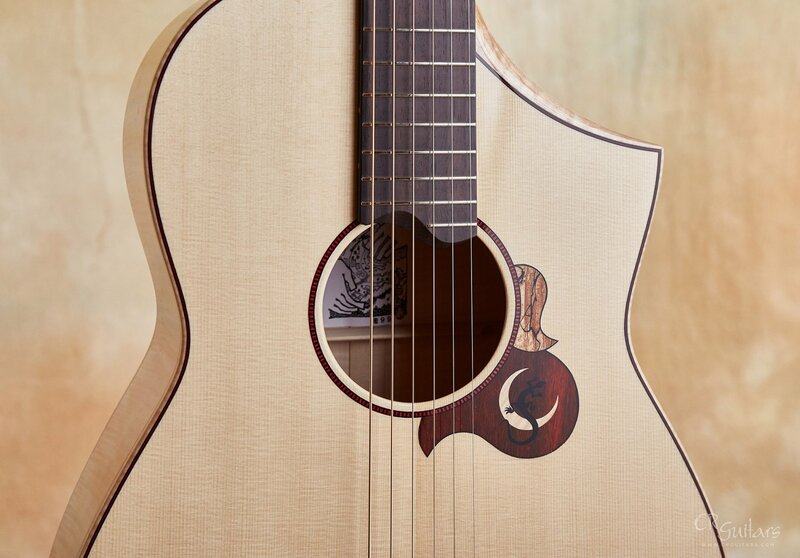 The sweetness of a vintage 00 Martin but with the focus and clarity of a modern bespoke guitar. 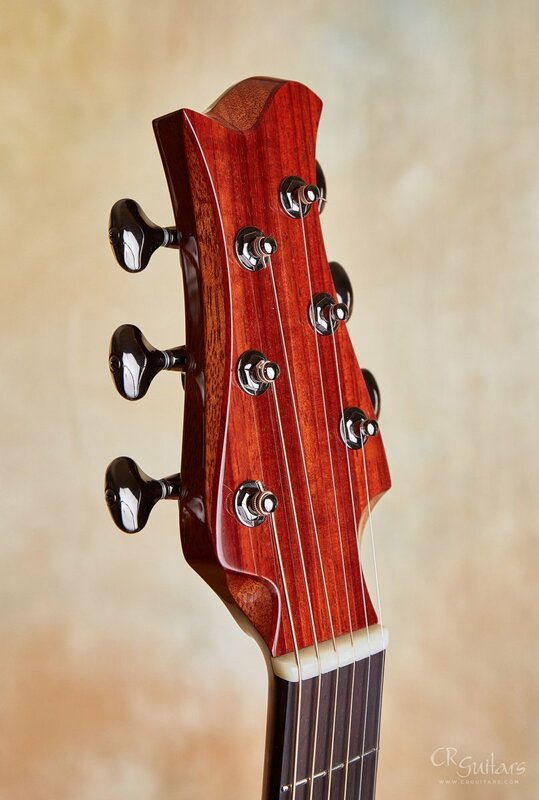 Though it is a maple body guitar it somehow possesses the essence of different woods. 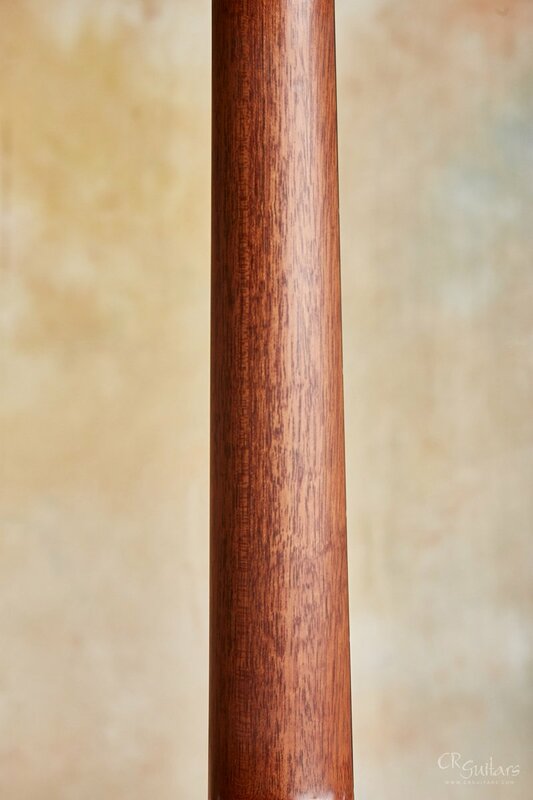 It is sonically rich and woody like sweet mahogany, has a midrange clarity like sparkly maple and a hint of reverb like earthy Brazilian. Kenji Sugita was born in Toyama, Japan in 1965. 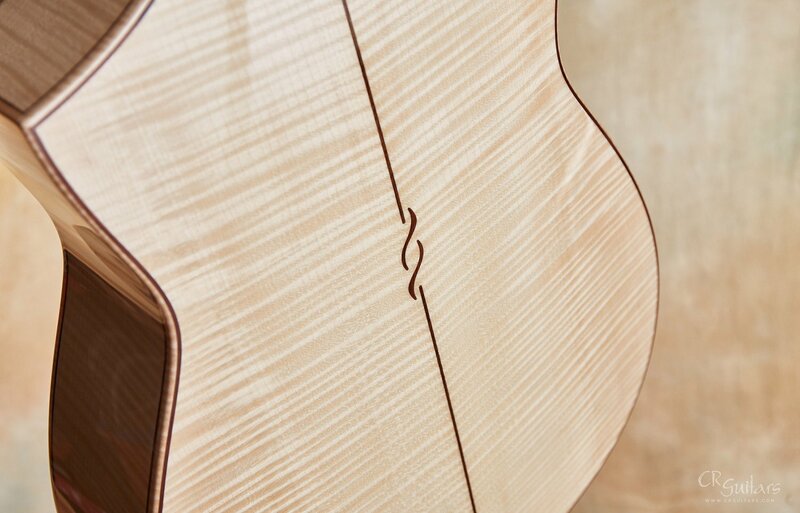 He started playing the guitar in his early high school years, but he realized that he was attracted to the construction of guitar more than playing it. 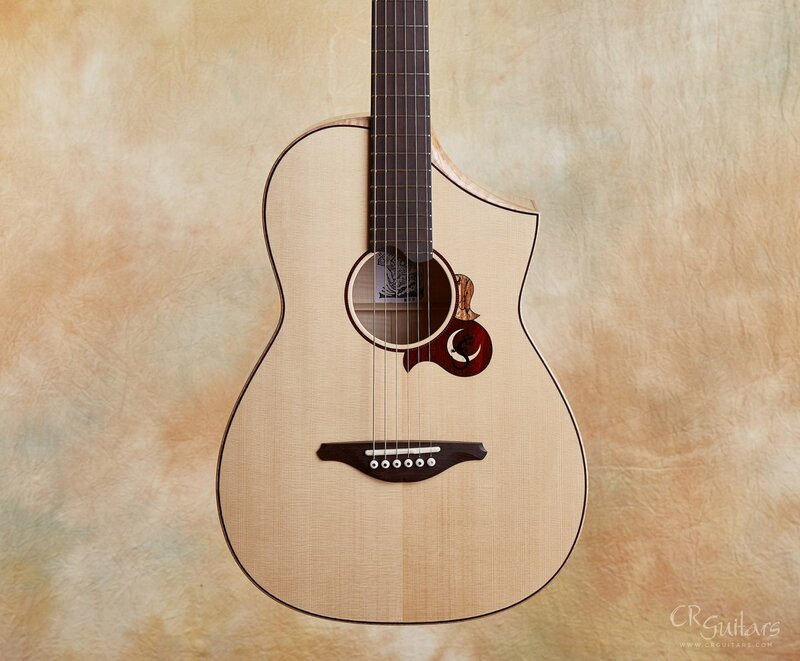 In 1984, as soon as he graduated from high school, Sugita went to study classical guitar and violin making under Chai Yukinobu. 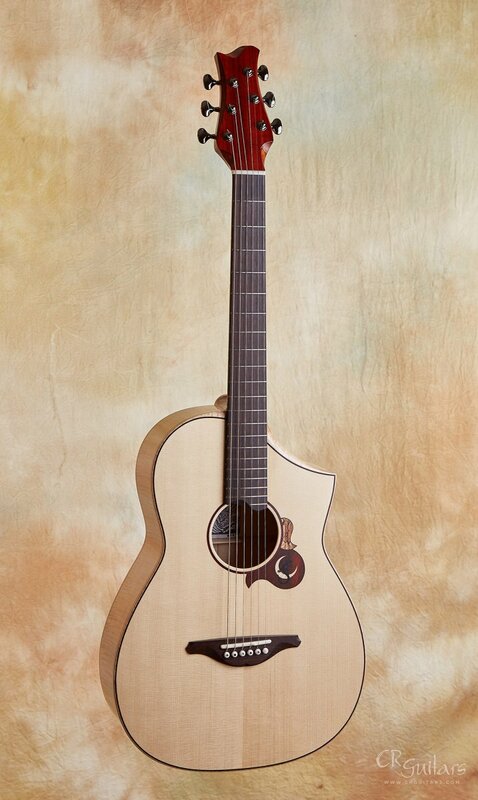 Kenji Sugita started his own shop, called Sugi Craft, in 1990, building steel string acoustic guitars. 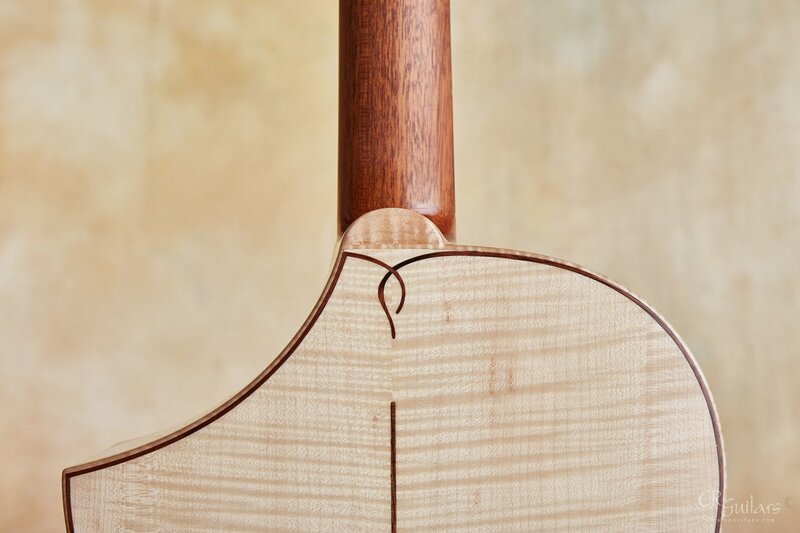 In 1998, he caught the attention of guitar builders with his new way of joining the neck which integrates the neck joint as part of the body, (the so called "heelless Spanish joint"), instead of using the standard dovetail joint. 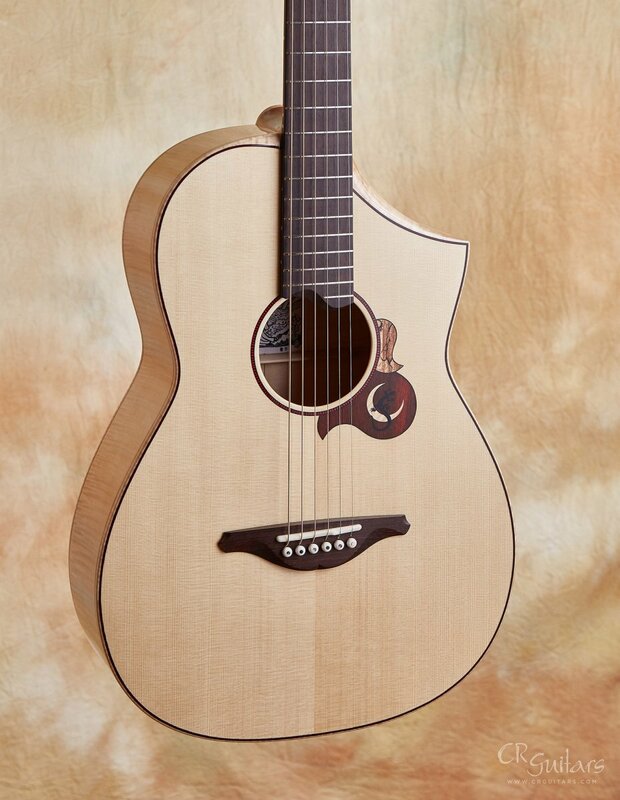 In 2007, in his wish to reflect his passions towards his own guitar building, he changed the name of his brand to his own name, Sugita Kenji Acoustic Guitars. 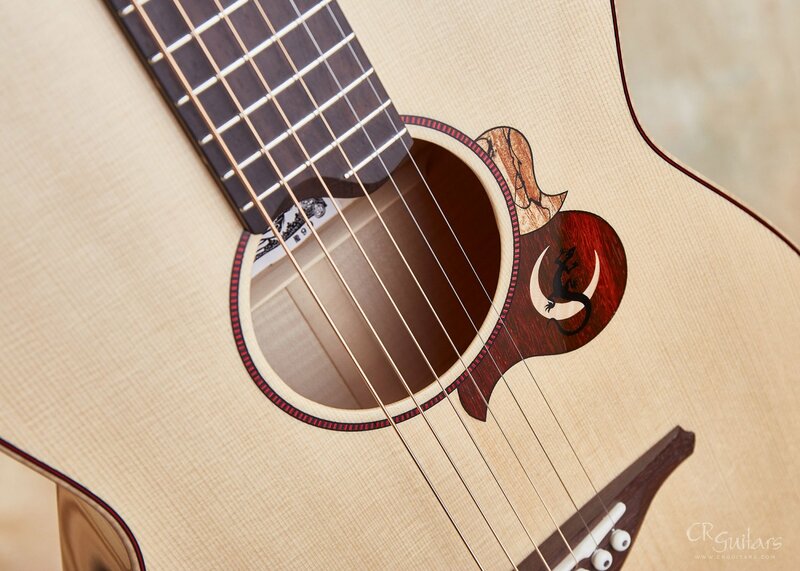 With his main flagship model, Carrera, he tries to bring perfection into every detail of his guitars. 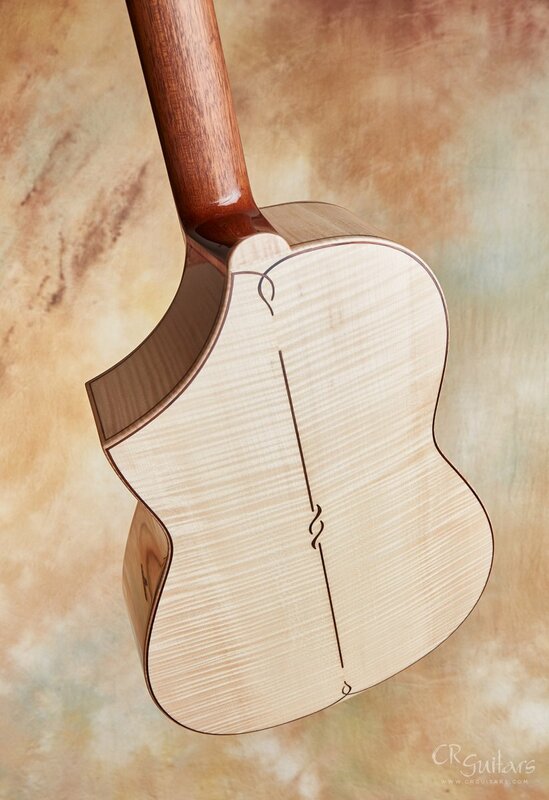 The scene: I'm in the parking lot at the Woodstock Luthier Show, on my way to the car, and with each step I take I feel a pull, slowing me down until I come to a complete stop, haunted by a sound I just experienced and the scent of inspiration in the air. Did I just play a guitar that good? 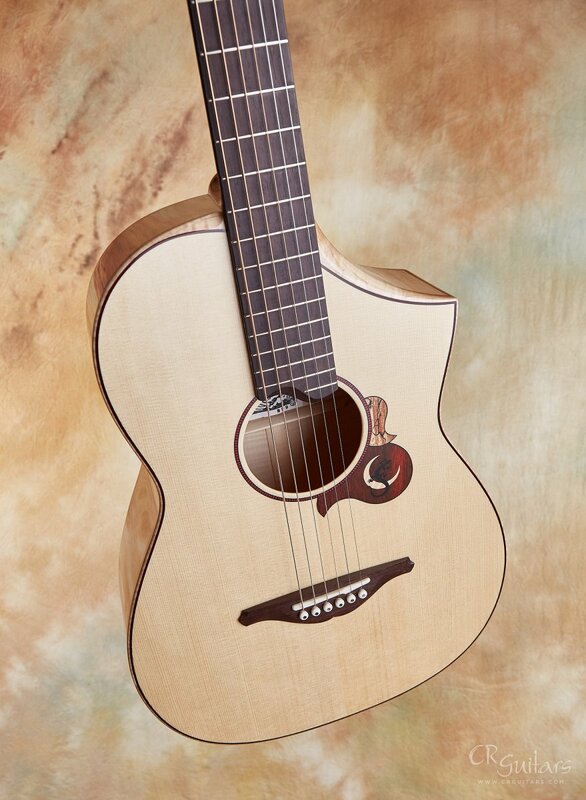 A guitar that other builders were whispering about? 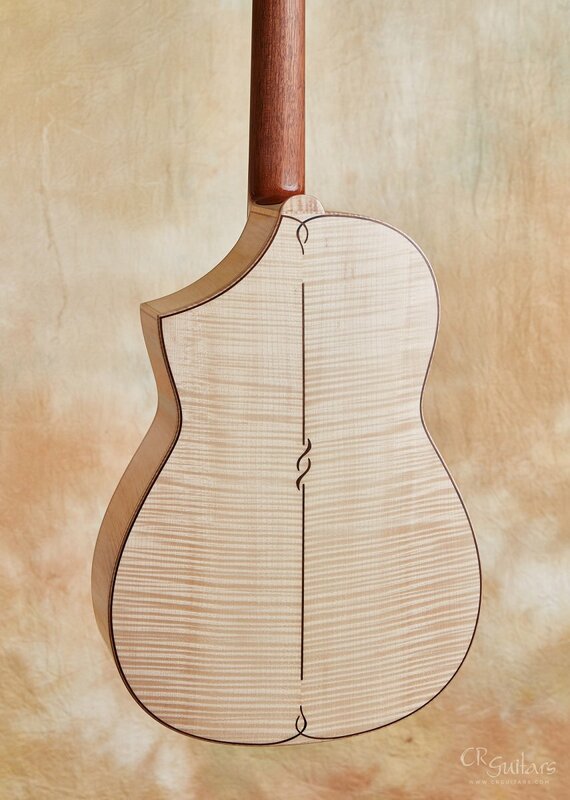 An acoustic built by a luthier I wasn't familiar with, who had an underground following of elite builders and international dealers alike? 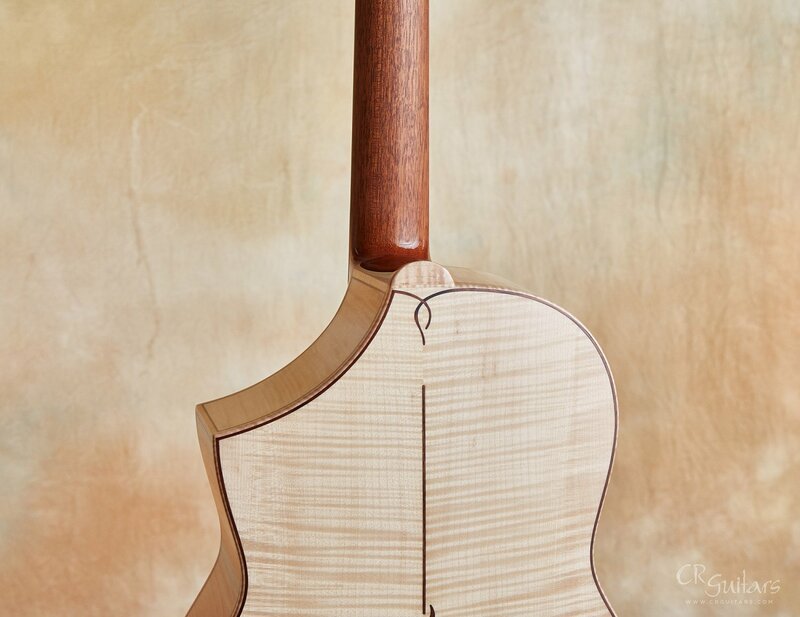 So then I pivot, make my way back to the show, chat with Mr. Sugita and within minutes this amazing 00 Carrera is en route to CR Guitars. I just could't "leave home" without it. Flashback 30 minutes earlier... In my hands is a Carrera 00 at the booth of the esteemed builder Kenji Sugita. Though not well known in the US, Sugita is like a rock star in Japan. 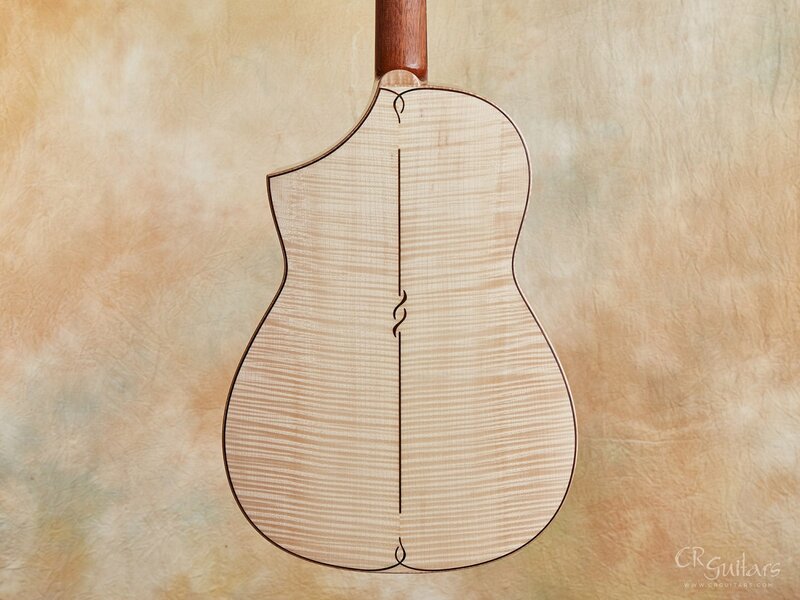 His instruments are finely made with the highest level of craftsmanship. It is no wonder that his peers have so much respect for his deep talent. 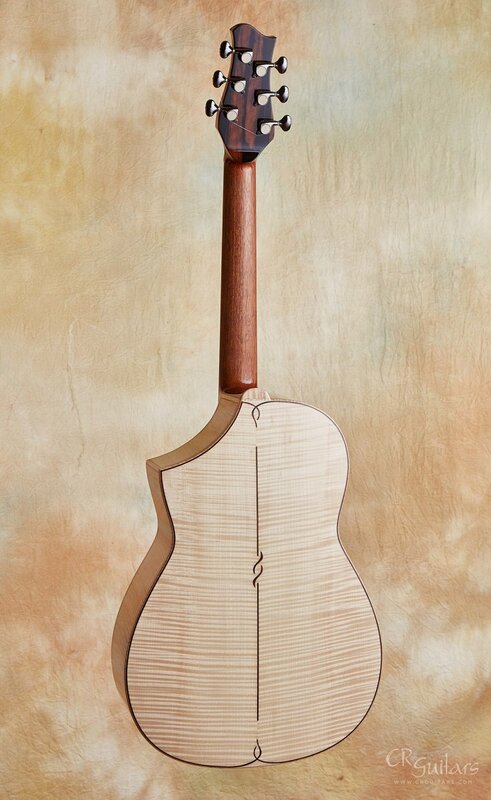 From his joinery to his lacquer finish it is just completely masterful work. 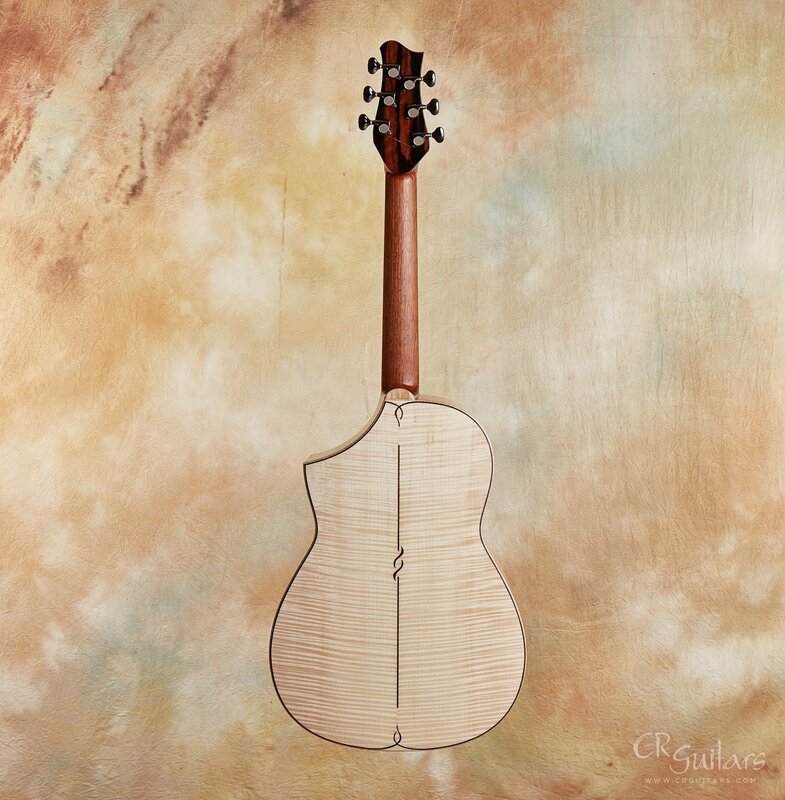 I love his elegant inlay work along with his gentle curved and beveled cutaway. 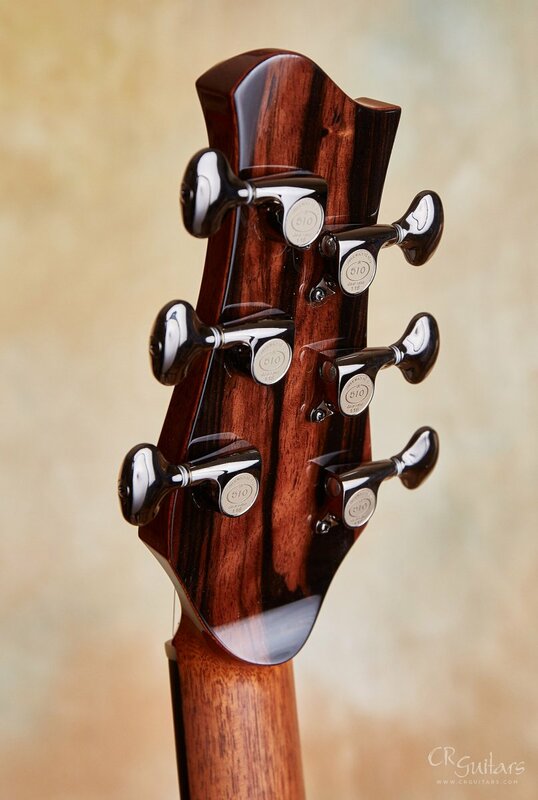 Meticulous fret work, exquisite neck shape — the workmanship is simply impeccable through and through. At just 3.7 lbs this Carrera is a pure joy to hold. With all of this guitar's stellar attributes, what stands out to me, what haunted me in the parking lot and drove me back, is the tone. 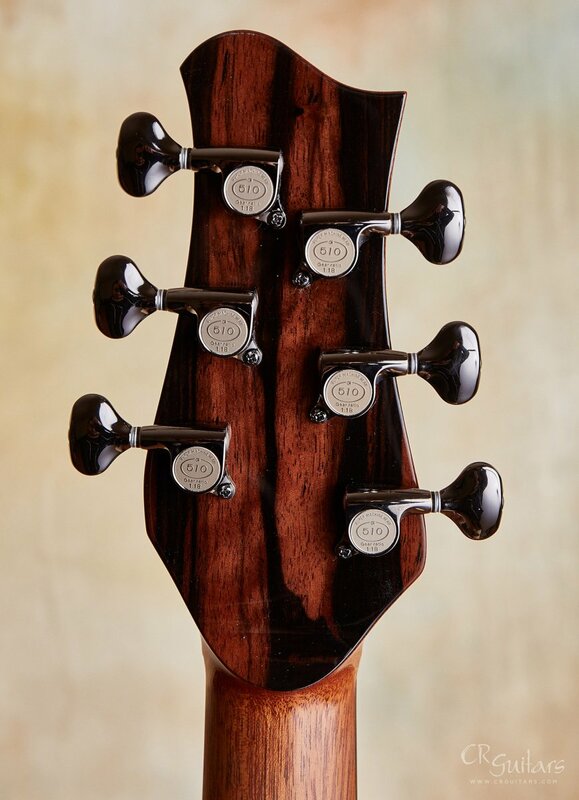 What amazing tone! 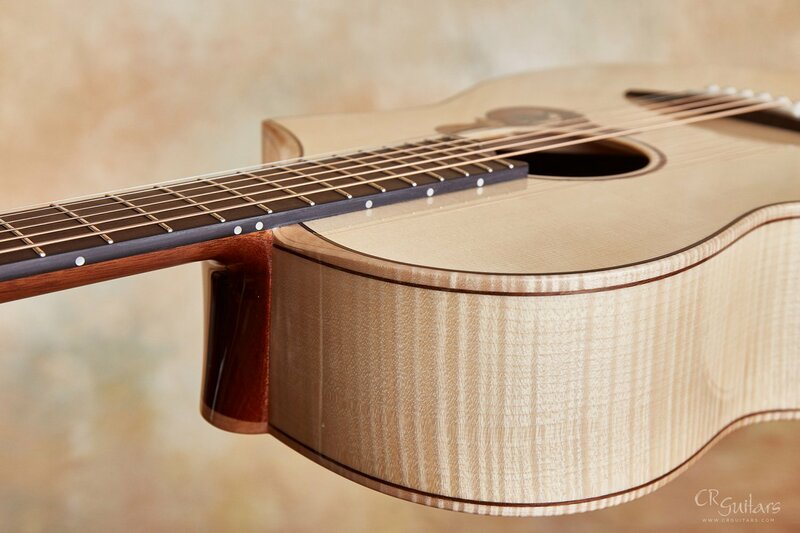 The sweetness of a vintage 00 Martin but with the focus and clarity of a modern bespoke guitar. 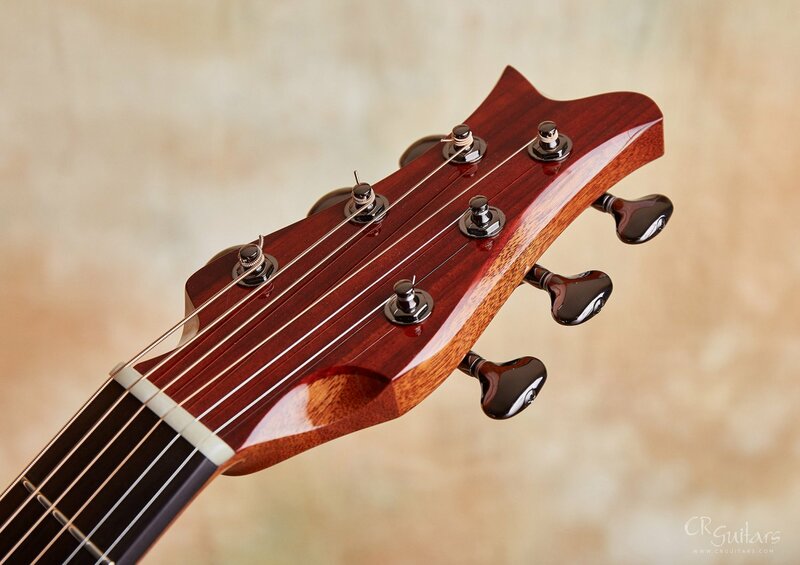 Though it is a maple body guitar it somehow possesses the essence of different woods. 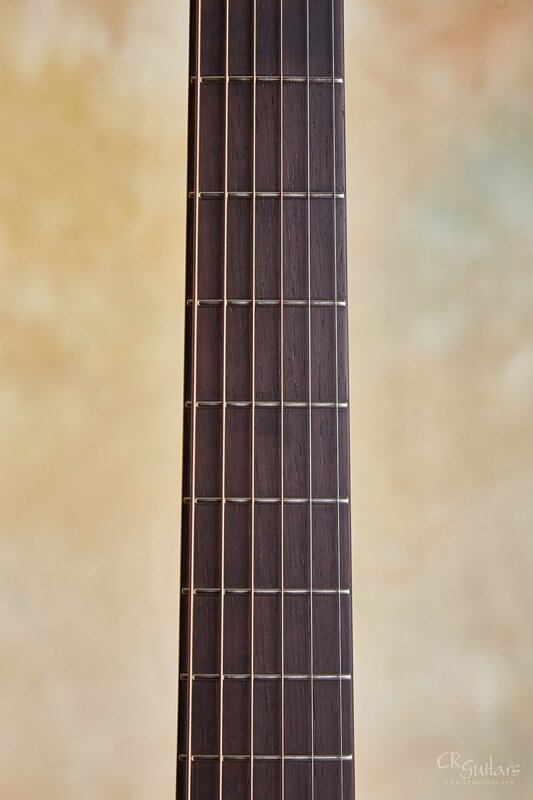 It is sonically rich and woody like sweet mahogany, has a midrange clarity like sparkly maple and a hint of reverb like earthy Brazilian. 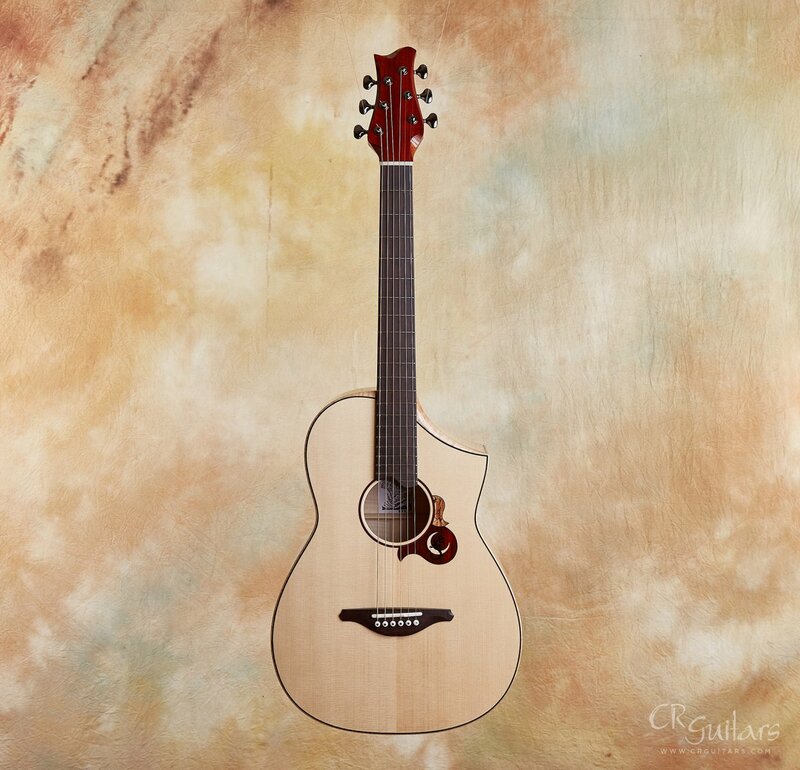 This is a guitar to get lost in. 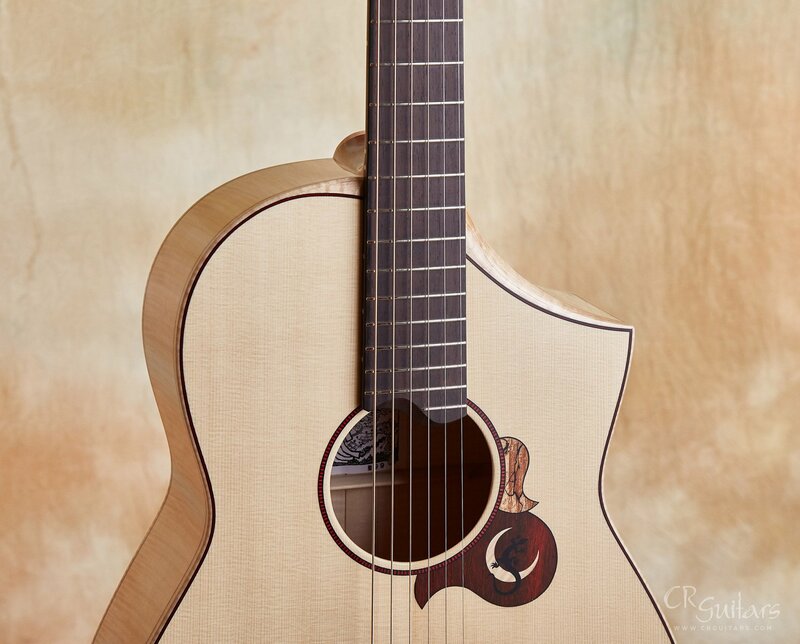 It's one that might even inspire you to write that song that has been hidden away and needs just the right nudge to come to the surface. Can you tell I love this guitar?